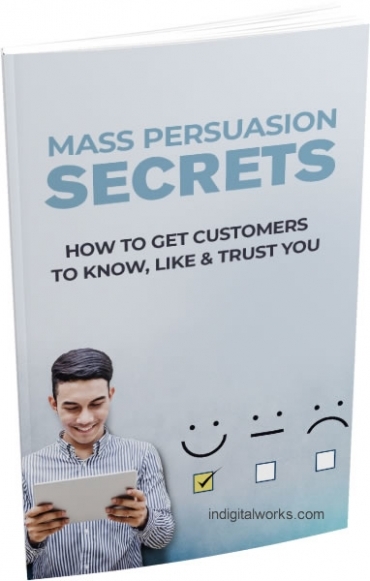 Discover the mass persuasion secrets and learn how to get customers to know, like, & trust you! Six powerful sales triggers that will persuade people to buy from you. How to use reverse psychology to get more customers to trust you. Understanding Social Proof and learn how to use it to persuade. Why being an authority in your industry is important for persuading customers to buy your products. How to put the techniques in action to persuade more customers to know, like, and trust you. [YES] Can edit the Sales Page. [YES] Can resell with Master Resale, Resale & Personal Use rights.